How African Leadership can address the challenges of poverty in rural communities, while promoting and preserving the African lifestyle and culture. Part of what drives the Africa Leadership Initiative is the development and inspiration of African leaders to positively impact the societies they live in. Our mission has always been to enlighten Leaders to conceive African solutions for Africa’s challenges; we believe it is one of the ways to create and sustain a good African society. In this article, we take a look at The Bulungula Incubator; a brilliant idea that was sparked by Réjane Woodroffe who is a class VII, Dinatla graduate in the ALI programme. This rural-development project was conceived in 2007, through the Africa Leadership Initiative programme, and it has since been a success story to be proud of. 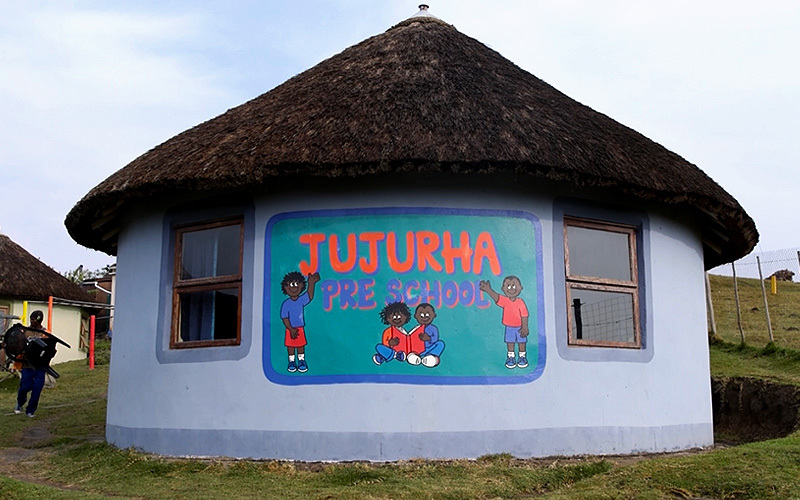 Just over a decade ago, the cultured villages of Bhashe, situated in the Wild Coast of the Eastern Cape in South Africa, had no access to quality education facilities. There were no pre-schools in the area, and the community itself was struggling with unemployment, rural poverty, and lack of good education. According to Stats SA, matric certificates in the Bhashe Municipality were only obtained by 10% of adults over the age of 20. Moreover, around half of the families in the community had at least one child death due to the lack of clean water and sanitation. Life in the community further improved around 2009. While attending the Africa Leadership Initiative programme, Réjane Woodroffe responded to a compulsory requirement, which mandated that each Fellow start or join a social project that would help to positively impact the communities they live in. In response to this call-to-action, Réjane started The Bulungula Incubator. What is the Bulungula Incubator? As part of their Education programme, the Incubator offers a world-class education facility where teachers from the local community can gain further training. Since parents are the primary educators of their children, the facility also offers parental and life skills to willing parents. Soon after the facility was launched, neighbouring communities saw the difference it made to the lives of the children, and were requesting that the Incubator establish pre-schools in their communities as well. Over and above, the Bulungula Incubator provides library facilities, support for rural community schools, scholarship programmes and parent activism. 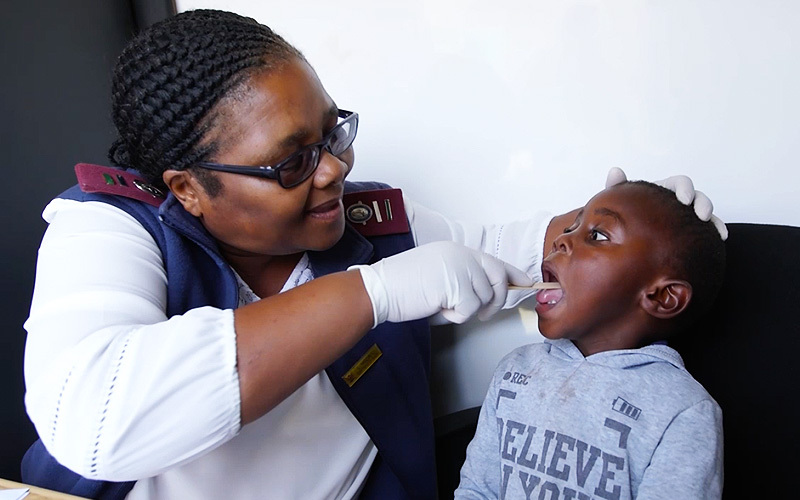 Through the Health and Nutrition programme, the incubator has been successful in introducing monthly on-site voluntarily HIV testing, as well as community Health Workshops in the area. According to Réjene, there was no value in introducing a pre-school if the project could not sustain the lives of the children. Therefore it was imperative to invest in the healthcare of the community. The Incubator offers home-based care for children and the youth, additionally, it offers home-based care for the elderly, the chronically ill and people living with HIV. One of the key focuses of the Incubator is Sustainable Livelihoods. Through this programme, The Bulungula Incubator created a Rural Skills Centre which helps develop the community’s economy, amongst other focus areas such as agri-business, ecologically community- based tourism and a Community Work Programme. 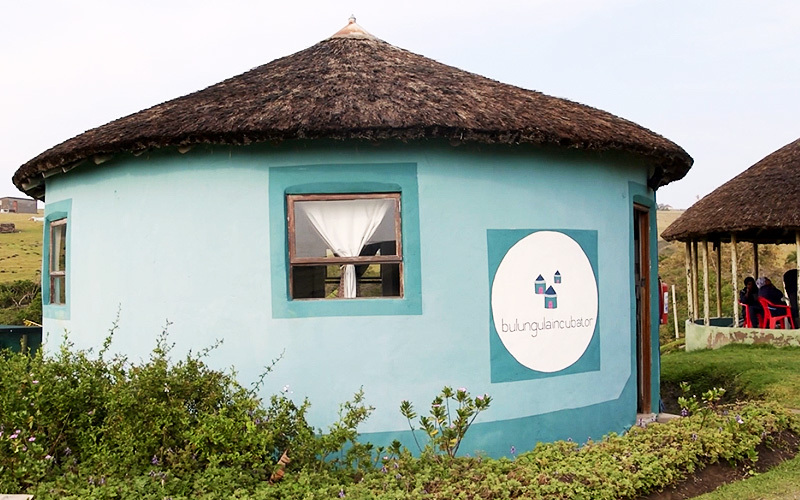 Beyond what the Bulungula Incubator offers the community, it also provides basic services such as rain-water harvesting, solar and wind power, water-filters, and eco-stoves to reduce wood burning and save the African forest. All of these four key areas are a holistic approach to social development and they adhere to one strategy — focusing on a broad range of projects in one limited area to ensure that the interventions are focused on depth instead of breadth. The positive impact the project has had on the community of Bhashe, has been one to rejoice over. What is noble is that the entire project is driven through the community, in partnership with the community, and for the community. This creates a virtuous cycle of civic involvement and improvement of quality of life. All this is done while sustaining the rich African culture of the villages of Bhashe. Since the start of The Incubator, the community has had access to quality education. The improvements in healthcare, and basic services are also apparent. It was therefore no surprise that in 2014, The Bulungula Incubator was awarded the McNulty Prize. The McNulty Prize looks for imaginative solutions to pressing problems that can be replicated elsewhere. According to one of the juries “Many terrific projects approach a single issue across a broad field, but The Bulungula Incubator’s mission is comprehensive”. As the Africa Leadership Initiative, we are proud to be associated with such life-changing projects which are founded by great African leaders who are making a difference. 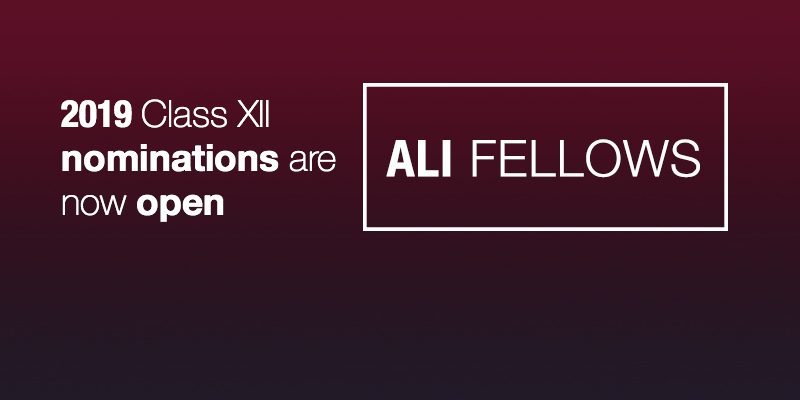 Leaders who have been Fellows of ALI. Because of projects like The Bulungula Incubator, which were conceived through the ALI programme, we rest assured, knowing that our mission of empowering values-based African leaders who lead their cause with integrity, is not pursued in vain.